Paul Rosenfeld was arrested on charges that he built a bomb and planned to kill himself with it to draw attention to beliefs in ancient election system. The FBI has arrested an upstate New York man accused of building a bomb that he intended to use to blow himself up on the National Mall in Washington, D.C. on Election Day, authorities said Wednesday. Court documents say Paul Rosenfeld, 56, of Tappan, wanted to draw attention to his belief in "sortition," the ancient practice of randomly selecting legislators out of a pool of eligible voters. The plot unraveled after Rosenfeld sent letters and text messages to a reporter in Pennsylvania in August and September, stating that he planned to blow himself up in the heart of the capital on Election Day, according to court papers and officials. The reporter contacted authorities, and on Tuesday, FBI agents pulled over Rosenfeld while he was driving, court papers say. Rosenfeld confessed to the plot, telling the agents he ordered black powder over the internet and built a bomb in his basement, court papers say. Rosenfeld also told the agents that he installed certain components in the device to ensure that he was killed. 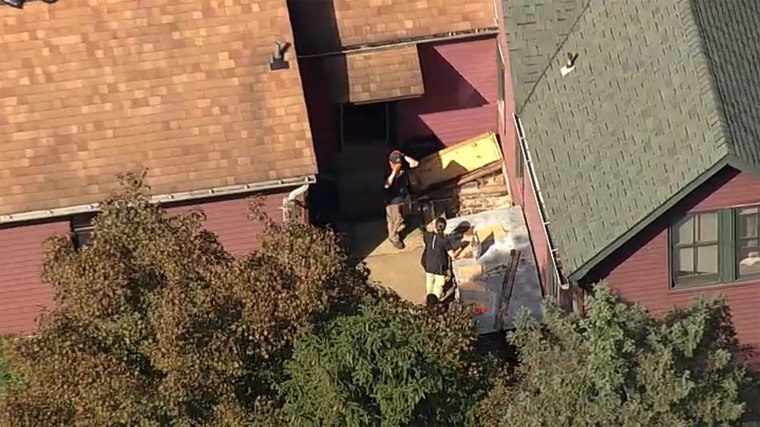 Investigators scoured his home and discovered a bomb that weighed 200 pounds but included only eight pounds of explosive black powder, court papers say. The extra weight was due to plywood crating and other components used to transport the device. The device was taken to a location in Rockland County. Agents later returned to the home to retrieve the bomb's fusing system. Rosenfeld acted alone, authorities said. He was charged Wednesday with unlawful manufacture of a destruction device and interstate transportation and receipt of an explosive. Sortition was prevalent in ancient Greece where laws were passed by panels of citizens chosen by lot.